Buying a new home could be one of the largest financial decisions you may ever make during your life. 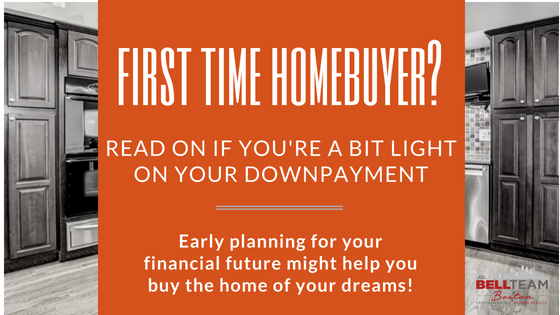 But, many first time homebuyers find themselves in a bit of a financial pickle. If you’re a little light on the downpayment you need to get the house you want, there may be a non-traditional solution for you. Let’s go back to the planning of your financial future. You may have a 401(k) or IRA, but what does your retirement fund have anything to do with buying a home? A small distribution from it can actually help you with none of the traditional penalties surrounding withdrawing funds early. Have this conversation with your financial planner and/or CPA first. As realtors, we want you to be in-the-know about this additional option, but there could be other financial impacts that your financial expert can discuss with you. First time homebuyers also can circumvent the 10% penalty for an early withdrawal up to certain amounts for individuals (separate calculation for married couples). Keep in mind considering the income tax side of the equation though should you pursue this route to acquire your downpayment needs. An option worth considering and one to absolutely discuss with your accountant so you can go get that house!